This is a recipe I put up a few months back. 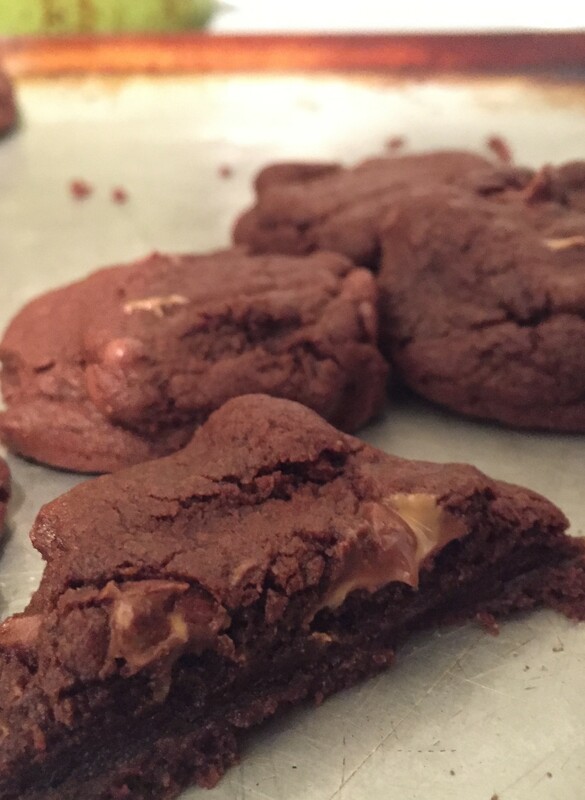 It is our favorite chocolate cookie recipe and now my girls added a new and fantastic twist. I hope you will try this recipe, we loved it!! The girls made the cookie dough but then added these peanut butter chips we found at the grocery store. The cookies turned out really well. Give them a try and let me know what you think! Love, Lynn. I found this recipe when I was 13 years old in an old cookbook. I was home alone after school and made all kinds of interesting things! 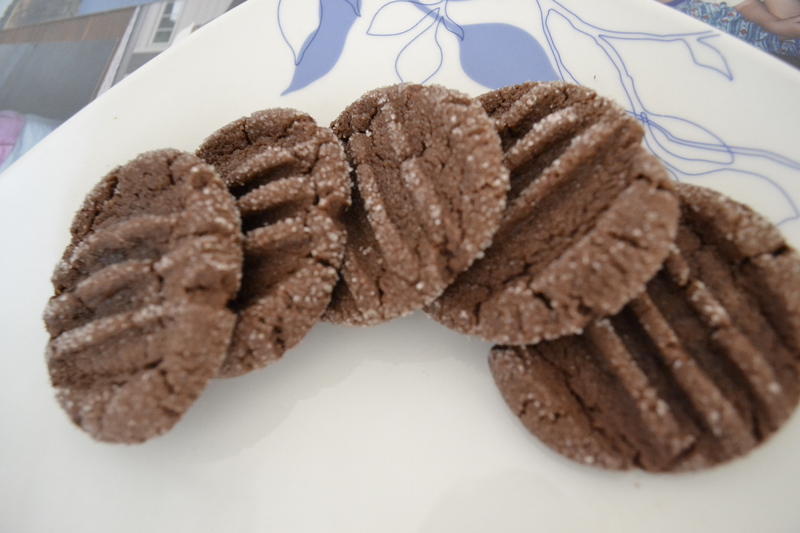 One day I came across these chocolate cookies and made them. They were hard as a rock and my dad called them “bullets”. That name stuck for years and I learned not to cook them as long. They became a soft and delicious favorite! The following recipe has been tripled. 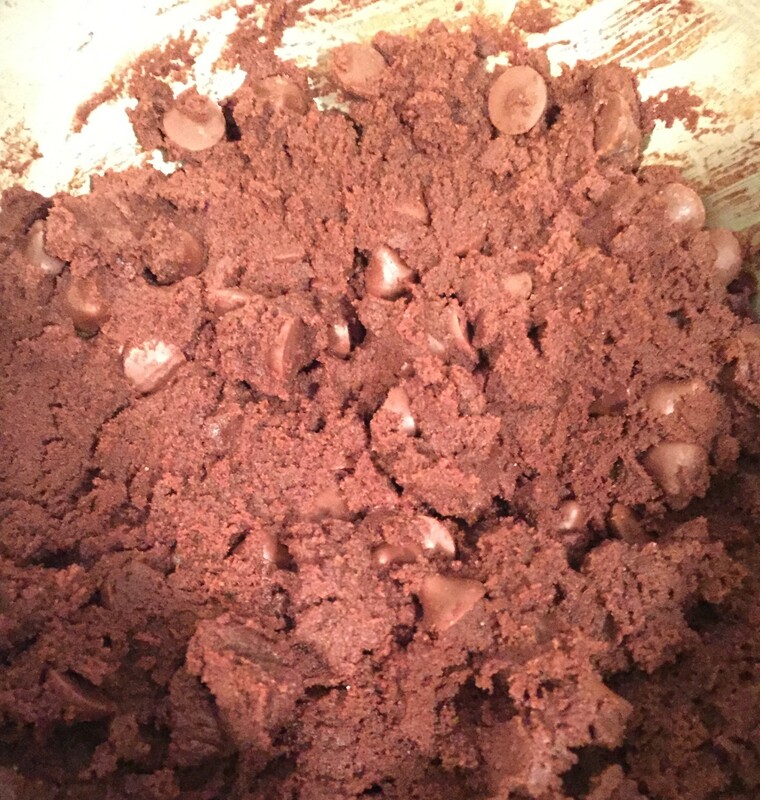 3 1/2 cups flour–make sure this cup is level, too much flour will make these cookies hard! 1 bag of Nestle Delightfulls peanut butter filled morsels- we found them in the holiday baking items. Mix butter and sugar until fluffy, add eggs. Mix in cocoa powder until well blended and then add flour, salt and soda, mix well. Add a bag of these delicious chips and fold in. Roll into balls, dip in sugar, place on baking sheet and push down. Let cook around 8 minutes. Do not over bake, cookies will crack when done. They will dry out if over baked.